Is there a room in your Capital District home or commercial space that you’d love to be more climate-controlled, but you’re worried about having to install additional ductwork? Where ductwork is impractical or even impossible, there is a cooling option that can make those spaces comfortable – ductless air conditioning systems. Ductless air conditioning systems are high-efficiency cooling and heating systems that allow you to keep spaces with no ductwork as comfortable as those that do. These targeted comfort systems are generally used in a single space, but there are other multi-unit options available as well. 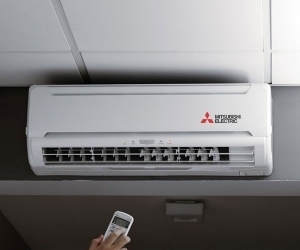 Ductless systems can be used not only in spaces that have no available ductwork, but they can also be used to balance out hot and cold spots in your home or office, increase the energy efficiency of surrounding spaces, or provide precision temperature control in areas where storage or data needs to be protected. What does a ductless system look like? A ductless air conditioning system mounts directly on your wall or ceiling, and blends well with virtually any décor. Unlike a window air conditioning unit which blocks your view, ductless systems are non-obtrusive and quiet, so what you’ll notice more than anything else is the improved comfort level of the room. And because Family Danz Heating & Cooling provides expert installation, we can install your ductless unit in just a few hours, no patching, painting or ductwork required. Is ductless air conditioning available in my area? 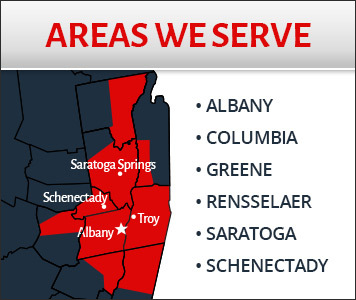 Family Danz Heating & Cooling is pleased to provide expert ductless air conditioning installation in Albany, Schenectady, Saratoga, Troy and surrounding areas. When you need an air conditioning contractor in the Capital District, Family Danz Heating & Cooling is ready to assist you. Simply call us at (518) 427-8685. Is my space ideal for ductless? 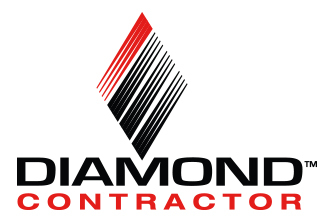 Any living or working space that is without ductwork is probably a good space for ductless air conditioning. Some examples include converted attics, additions, finished basements, sunrooms, older homes, data or storage rooms, kiosks, and off-hours offices. Give Family Danz Heating & Cooling a call at (518) 427-8685. We’ll tell you about the different options for ductless cooling and heating, and help you find the solution that best suits your needs.